The fashion world is no stranger to cultural appropriation. Appreciation, inspiration, admiration: call it what you want, it still doesn’t change the reality of its existence. It is a real and relevant problem in today’s society, though not a new one. Often, we’ve allowed ourselves to be blind to it. Even more so, we’ve normalized and justified the theft of countless cultures in the name of fashion. It was in New York at the well-known “Fashion Week” that Marc Jacobs closed out the show. The outfits of his 2016 Spring collection were – unsurprisingly- to die for, but the hair of his models? Not so much. 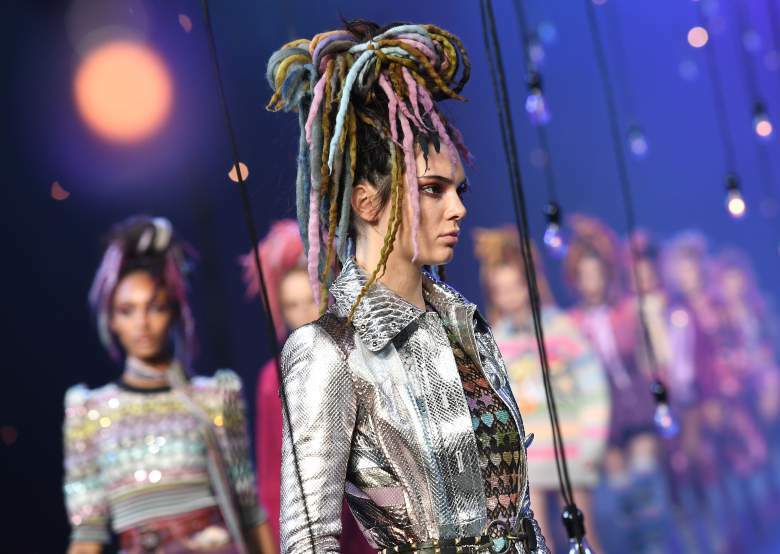 Rather than fawning over the dazzling ensembles, most people were left trying to wrap their heads around the girls’ colorful dreads. The poorly mimicked hairstyles immediately elicited the rage of people all over social media. They called Jacobs out for cultural appropriation for this stolen style. 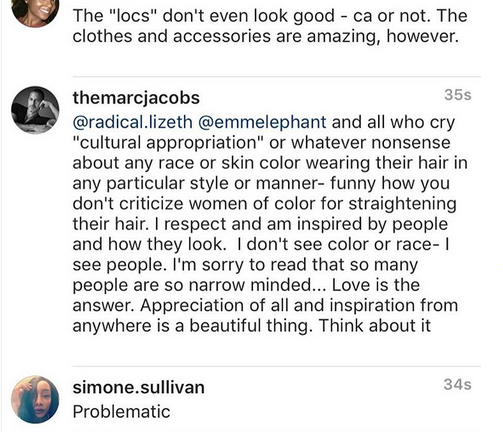 Except, it wasn’t just the appropriation itself, but Jacobs’s reaction to the backlash. Understandably, viewers and fashion fans found Jacobs’ actions to be in poor taste and they had no qualms about verbalizing their complaints. Dreads are a recognized part of a cultural that has been around much longer than fashion shows and the designers whom wish to utilize them for their own selfish reasons. But, rather than give credit or apologize, Jacobs chose to go down with his sinking ship. He even had the audacity to suggest that women of color straightening their hair was no different than white girls with dreads. Probably not the best defense for his wrong doing. And it didn’t stop there. Jacobs also admitted, “I don’t see color or race- I see people.” Its a nice gesture, on the surface, but the problem is that these cultures have color and they have race, in turn a culture. To ignore the race and background that the cultures come from is willful ignorance. And, put simply, its pretty insulting to those who consider these cultures sentimental and of great value to them. Marc Jacobs was not the first appropriator of cultures. Far from it, in fact. War Bonnets, or Headdresses, are one of the most common cultural appropriations. They’re worn for sports teams, Halloween costumes and, of course, for fashion. What many people do not understand about Headdresses is that they hold a great deal of meaning to their Native American people. They have cultural and often spiritual (religious-like) significance. Its insulting and inappropriate no matter what the situation. Another designer who aimed for a “culturally-inspired” look and fell a little short of successful was the one and only, Givenchy. 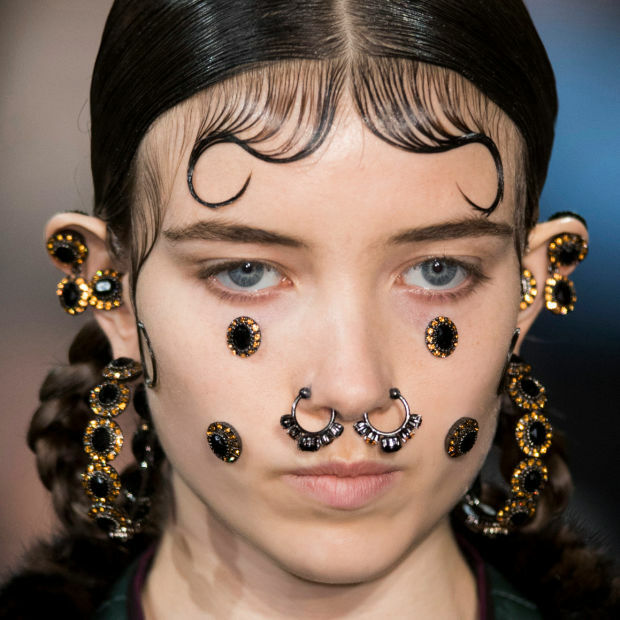 When “Victorian Cholas” hit the runway in 2015, the name alone was cringe-inspiring. The faux facial piercings and familiarly styled baby hairs were more than good cause to throw our hands in the air and wonder when creativity became more about blind-ignorance. It doesn’t take a genius to see how tasteless and thoughtless the look was. Clearly, though, it didn’t do much in setting an example for potential future appropriators. 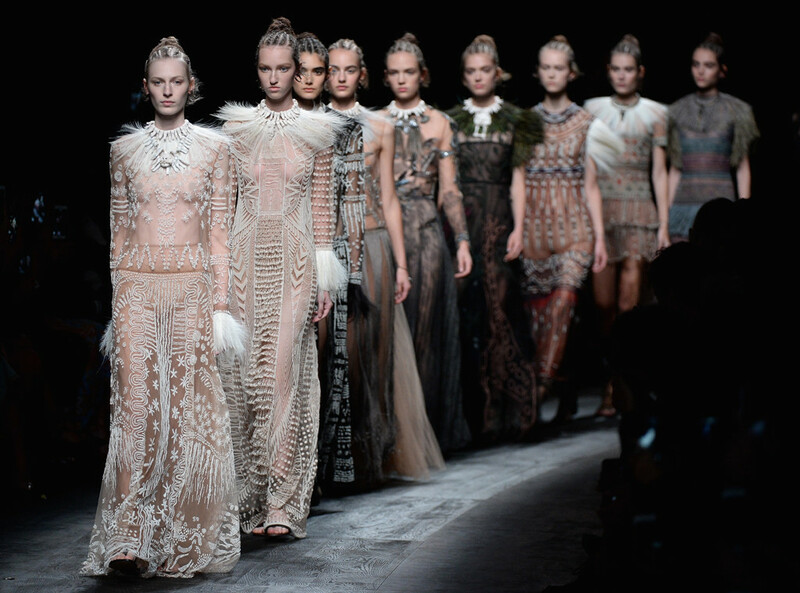 Last, but certainly not the least horrifying, is Valentino’s Spring 2016 collection. With a collection that claimed inspiration from Africa, we would have hoped to see a bit more diversity on the runway. Unfortunately, there was hardly any at all. The lack of diversity only added salt to the wound of poor taste and bad choices. It seems extraordinarily daft to unleash this level of insult; the outfits, the hair, the blatant lack of diversity of the models.It was like one, continuous slap in the face…the sting of which stays with you for days. And, for some, maybe that sting never goes away. We get it. The fashion world is in a constant competition. Designers look for inspiration all over the world. To broaden the fluidity of fashion and the diversity of it, it is difficult to avoid looking outside your own race and culture entirely. To be honest, its not really what people are asking. The problem of appropriation is a mix of avoiding culturally significant concepts, staying away from blatant stereotypes, acknowledging the need for diversity in race if you chose to take on a diversity in culture. Not to mention, doing it with respect, taste, and yes , maybe some well-informed guidance. Beauty isn’t everything. And, that which we admire should often stay that way: as something we admire. Knowledge and respect are about knowing the difference between admiration and appropriation. What do you Glamorous people think? Comment below your thought of culture in fashion (or it’s lack of appropriate appreciation). Let us know what you’re thinking! Adele Gets Emotional In Open Letter To Twitter.